Perennial – many unique and creative designs of us. Surely, it’s will be great experiences! 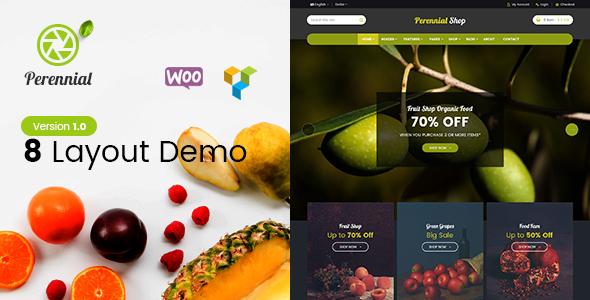 Because, the organic food and fruit store is designed perfectly for websites and mobile applications. Especially, there are more options for you to easily manage according to your business or your ideals.